Punjab Congress leader Sunil Jakhar comments came after CM Parkash Singh Badal claimed that his government had scrapped Clause 5 of the Punjab Termination of Agreements Act. Punjab CM, Prakash Singh Badal (Center). 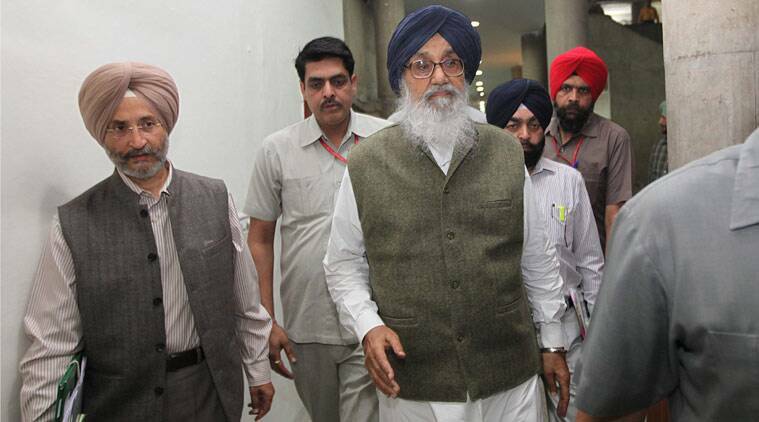 A day after Punjab Chief Minister Parkash Singh Badal claimed that his government had scrapped Clause 5 of the Punjab Termination of Agreements Act (PTAA), 2004, Punjab Congress leader Sunil Jakhar on Saturday this was not true. On Friday Punjab CM, who was talking on Satluj-Yamuna Link (SYL) canal issue in every village during his ‘sangat darshan’ programme at Nakodar assembly constituency, said that the Clause 5 had been scrapped. He, however, was silent on the question of when the clause was scrapped. Scrapping the clause was part of the party’s pre-election manifesto since 2007. It requires Punjab to maintain the existing level of river water supply to Haryana and Rajasthan.